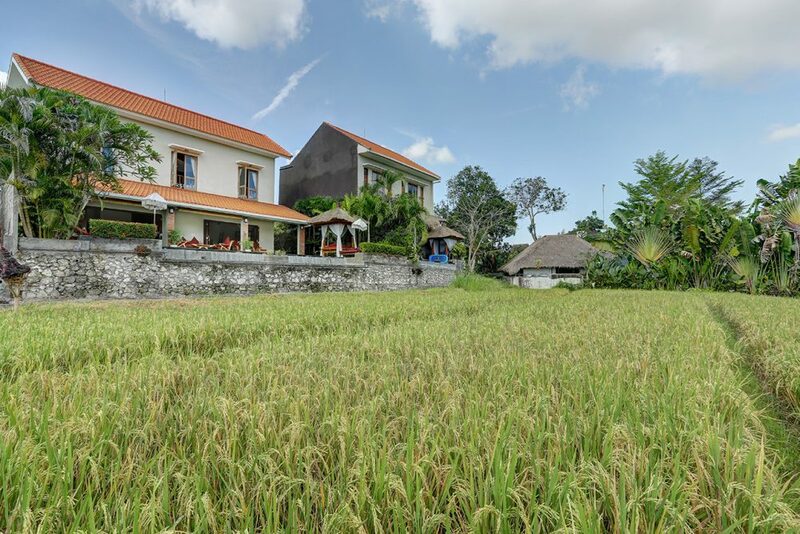 A perfect rural hideaway complimented by every modern comfort. 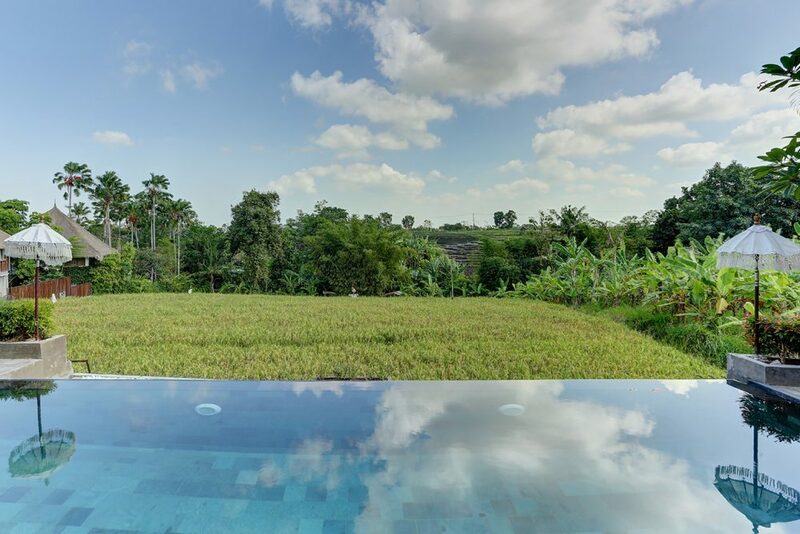 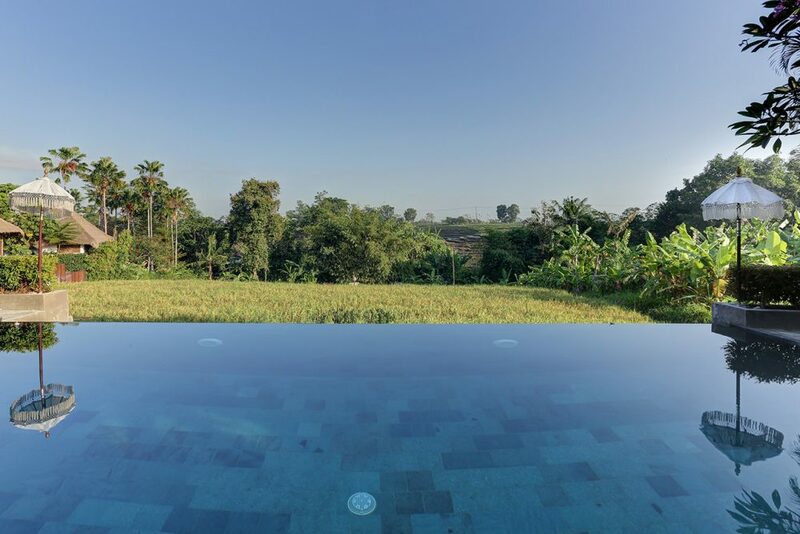 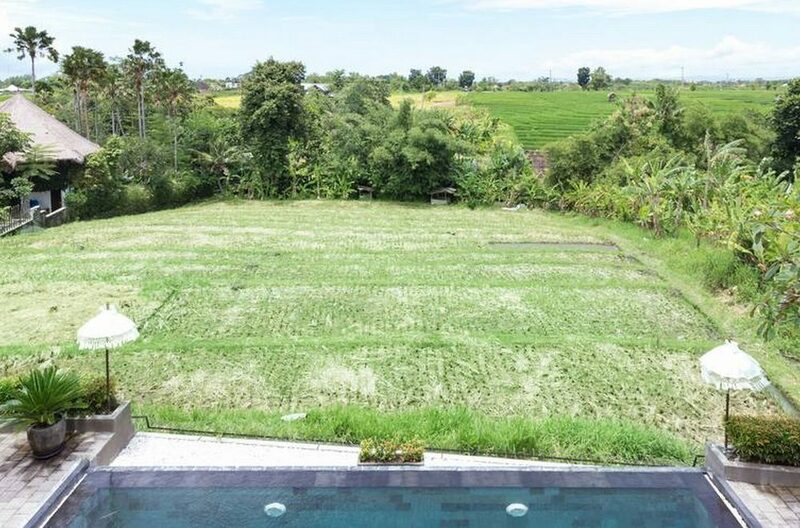 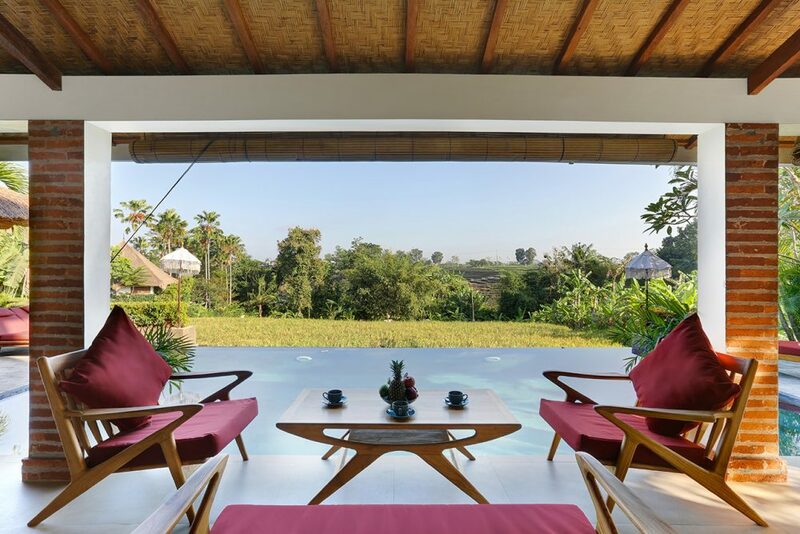 This ultra-contemporary 3 bedroom pool villa has peaceful, uninterrupted rice field views. 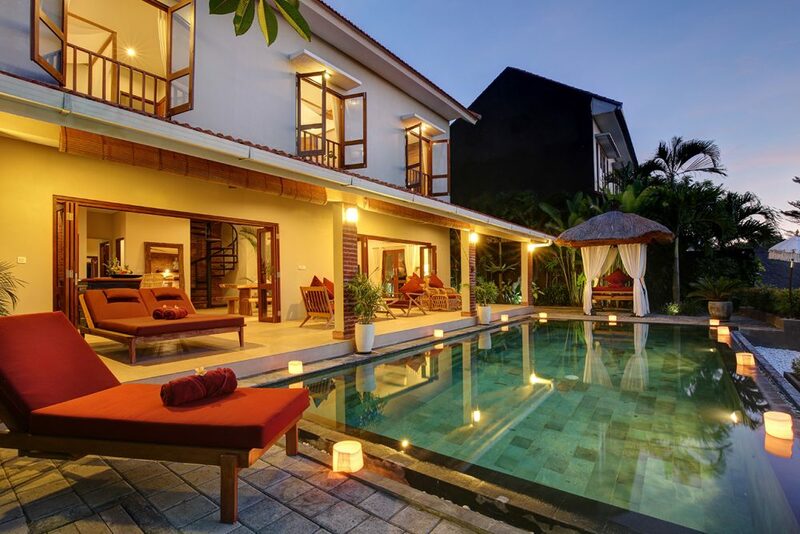 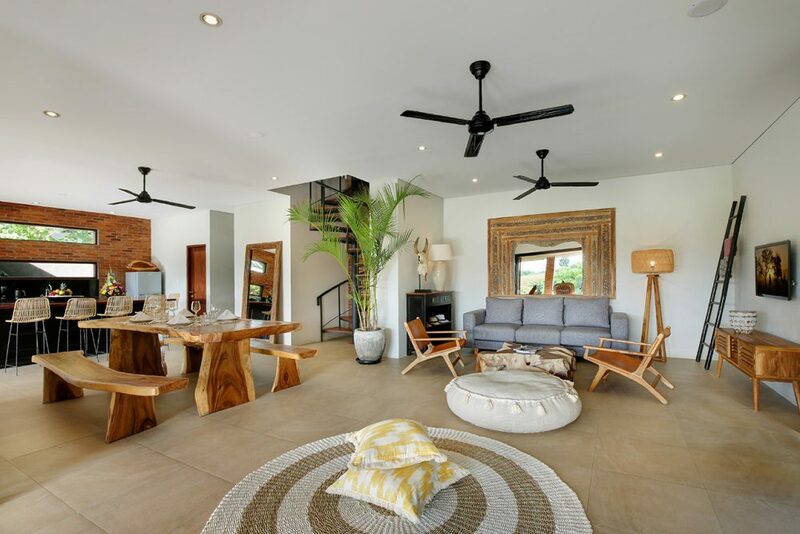 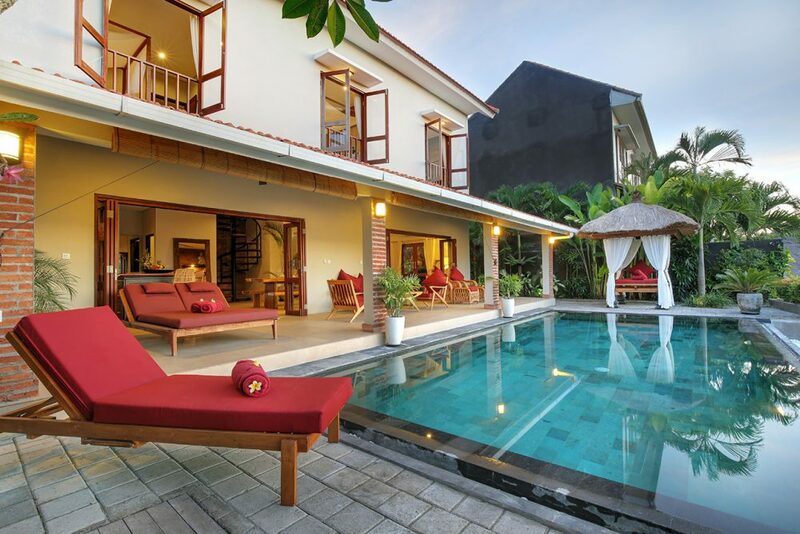 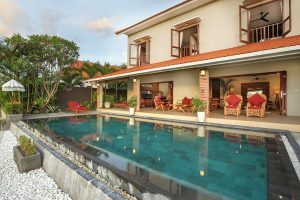 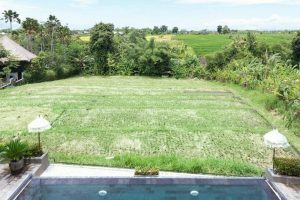 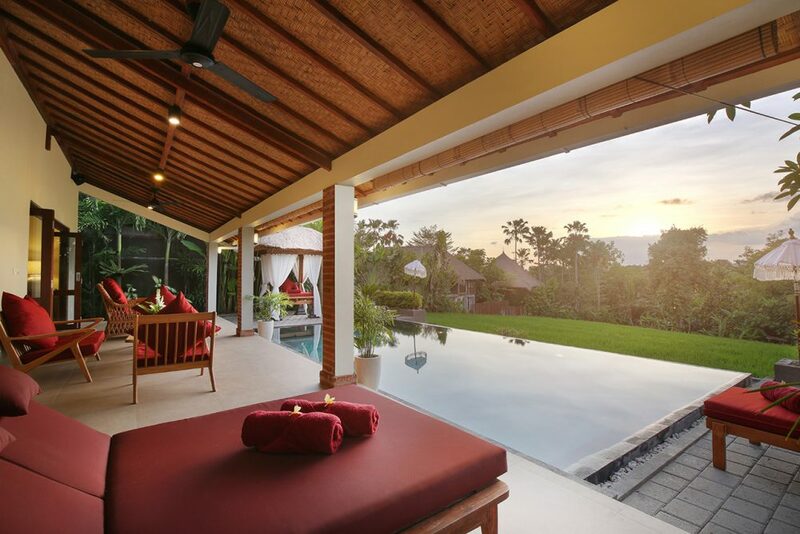 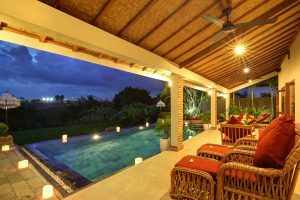 Located in a quiet street in the hip and happening area of Canggu, just 5 minutes drive or ride from the world famous Echo Beach, this villa embodies the tranquillity of Bali while still being close enough to a range of exciting attractions. 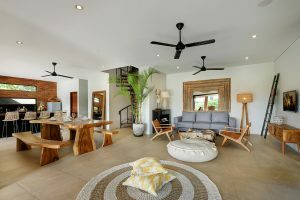 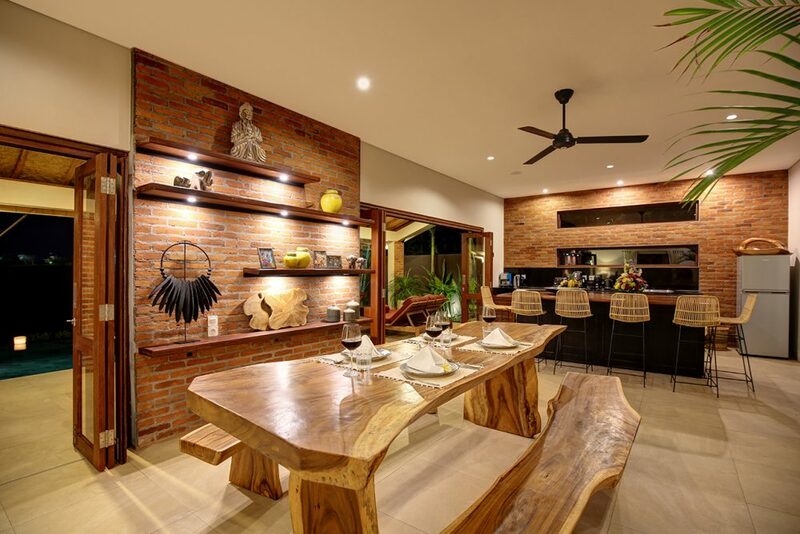 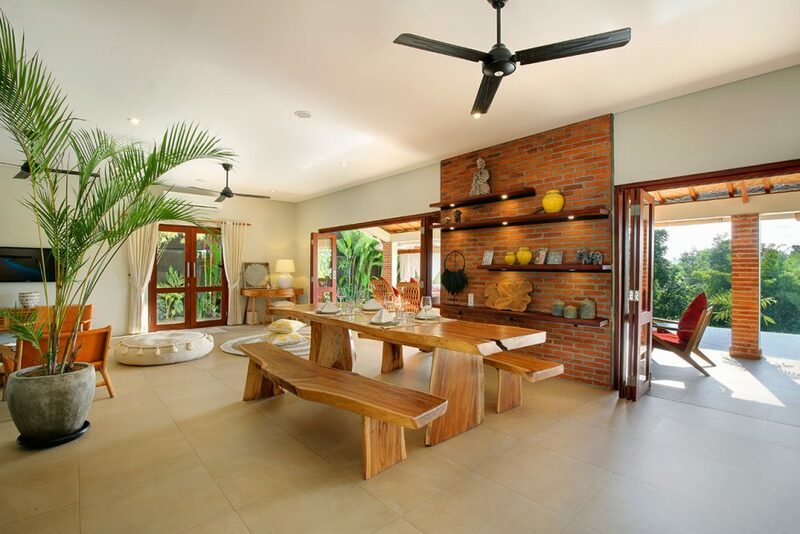 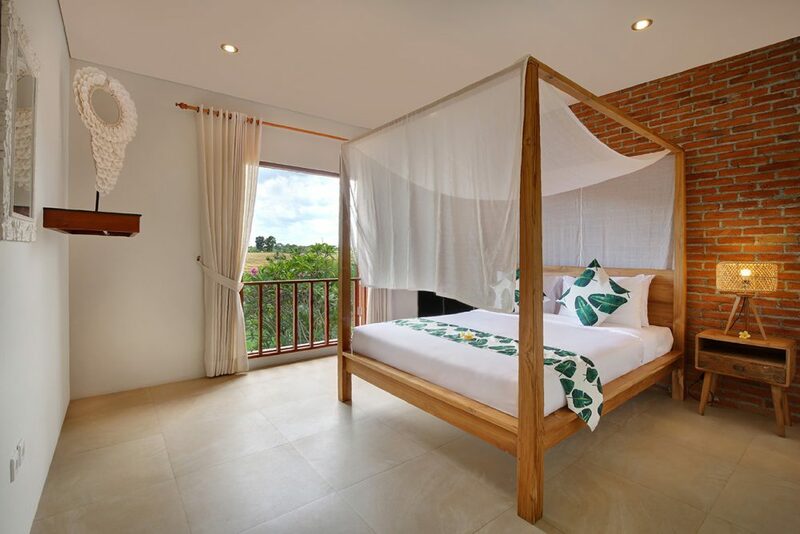 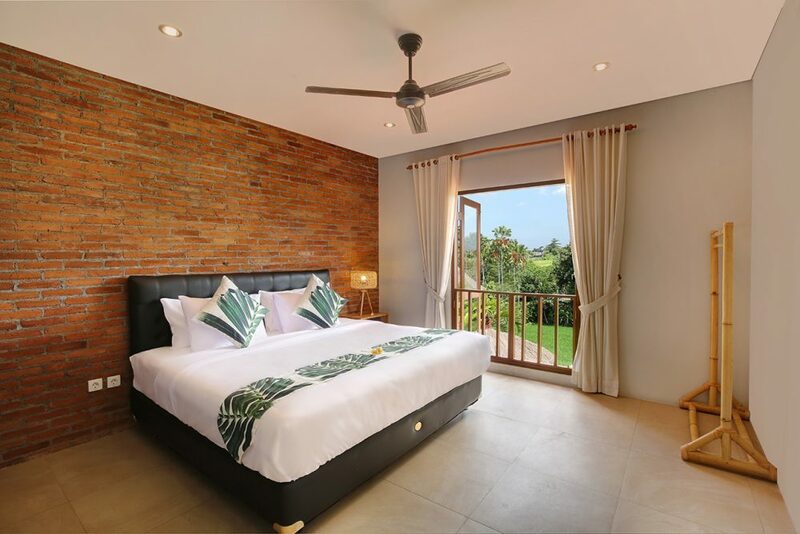 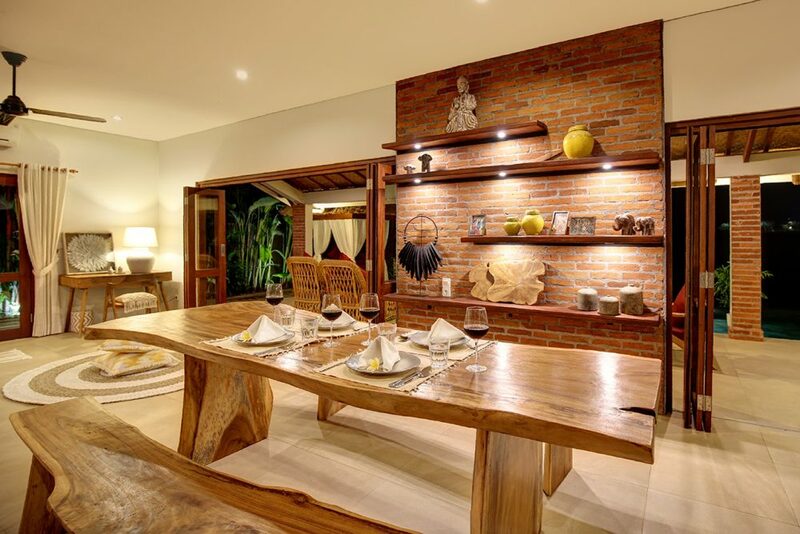 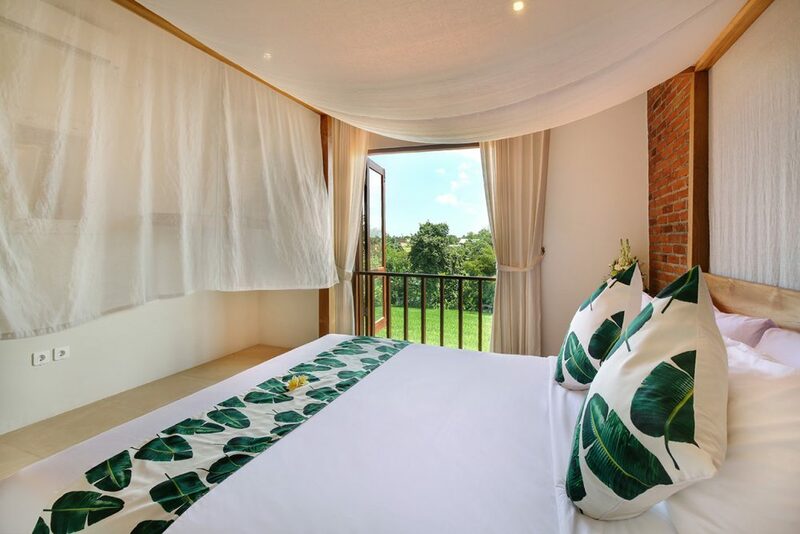 Moreover, Villa Subak is an ideal option for families with young children because the living area is fully enclosed, lockable and air-conditioned. 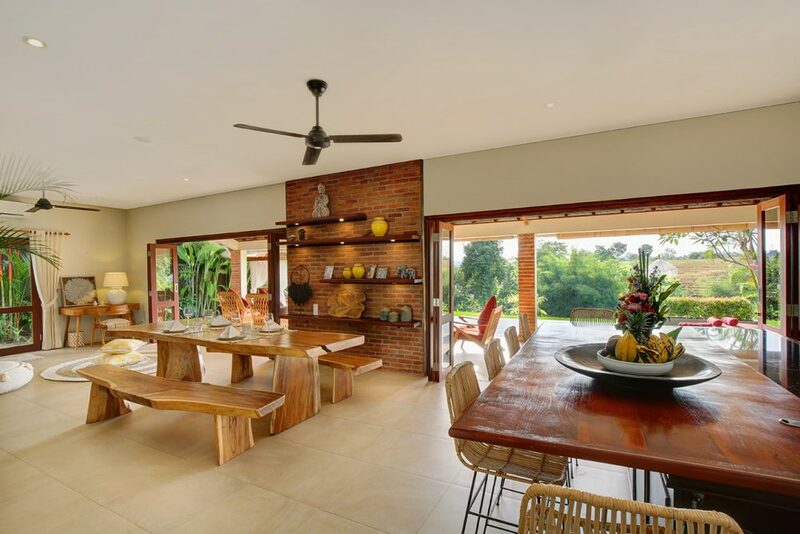 This not only keeps your loved ones cool but also makes sure the kids stay away from the swimming pool unsupervised. 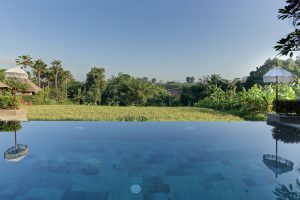 Laze on one of the sun loungers with a cold drink, have a massage in the gorgeous bale, or chill in the crystal clear waters of the pool. 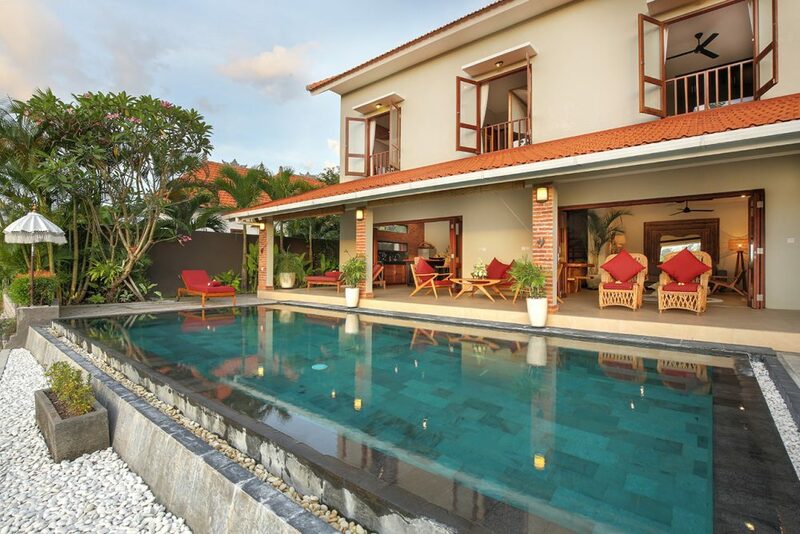 Both indoors and outdoors this lovely villa offers stylish tropical comfort. A large veranda runs the length of the house fronted by an inviting swimming pool and topped off by magnificent undulating rice paddies and jungle. The downstairs is filled with an air-conditioned, open-plan living area including a fashionable granite and wood kitchen. 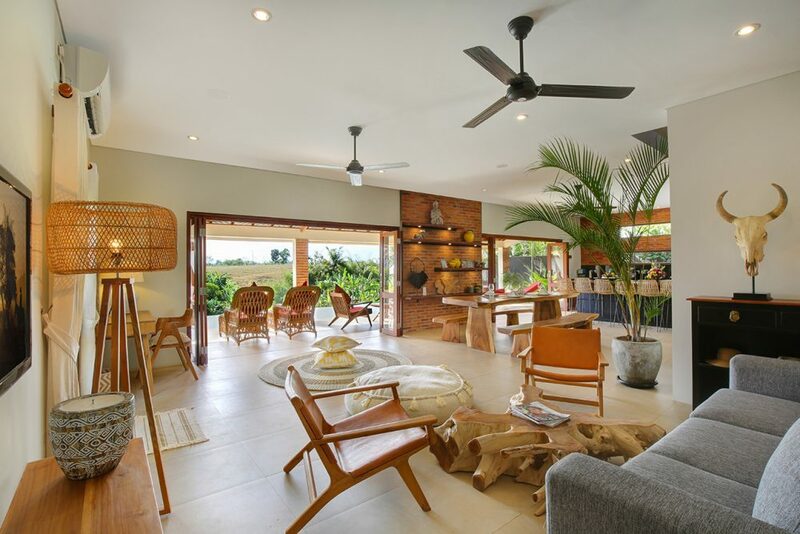 This is equipped with Delonghi accessories including a coffee maker and a juicer and has a large breakfast bar with trendy cane backed seats. Additionally, there is an oversized wooden dining table with benches where you can enjoy more formal meals.Floor to ceiling folding doors run the length of the open plan living area and embrace panoramic views over the beautiful rambling wilderness and the glittering swimming pool. Moreover, a comfortable sofa faces a flat screen TV, with plenty of room for the whole family to curl up and watch a movie before another fun-packed day touring Bali. This is truly an island home from home. 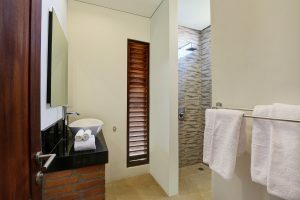 The master suite comprises of a king size bed, a fitted wardrobe and a private ensuite bathroom with a shower. 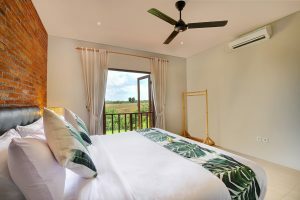 The further two bedrooms are identical in size and have queen canopy beds, fitted wardrobes and are decorated with subtle tropical touches. 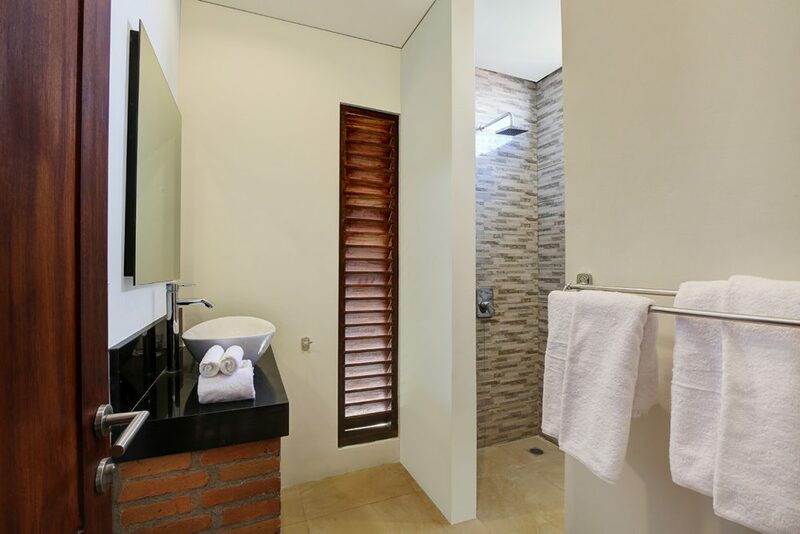 These two rooms have access to a family bathroom with a single vanity unit and a shower. 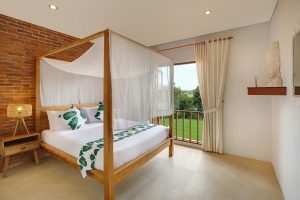 A cot can be requested from our Villa Manager if required. 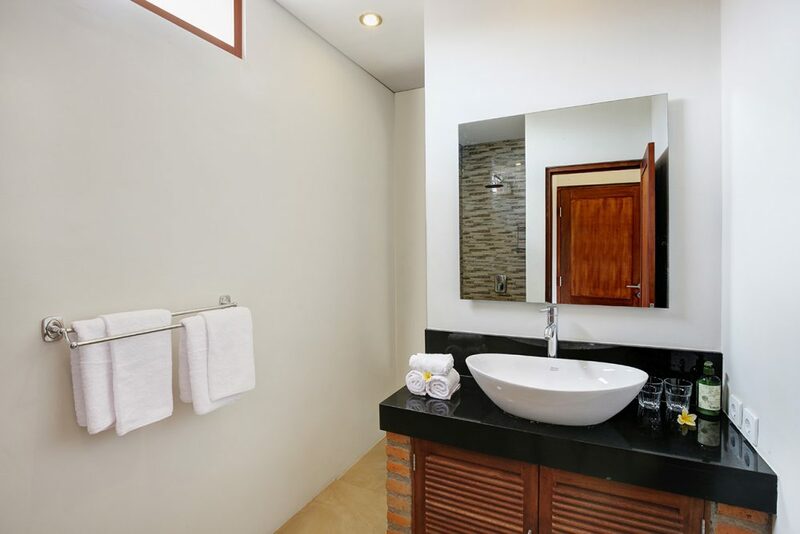 Alternatively, embrace some local culture and drive to the famous Tanah Lot water temple. 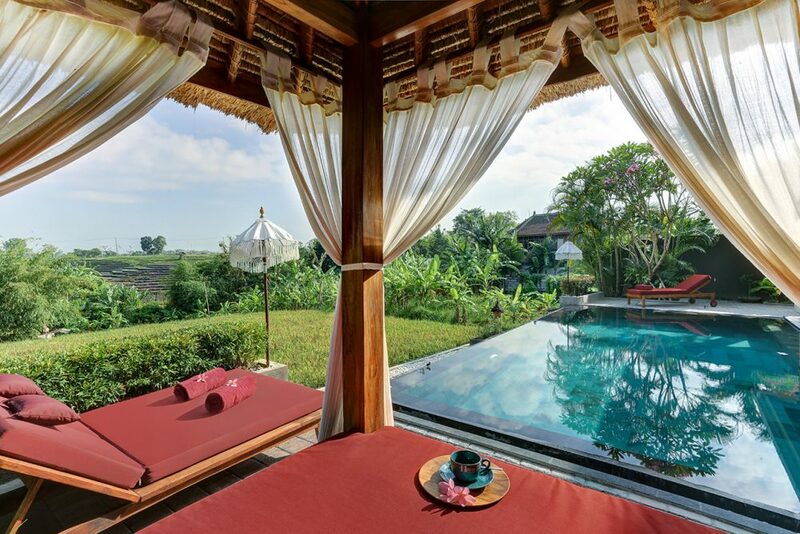 This has been a site of Hindu pilgrimage for thousands of years and visitors can partake in a traditional Balinese blessing. 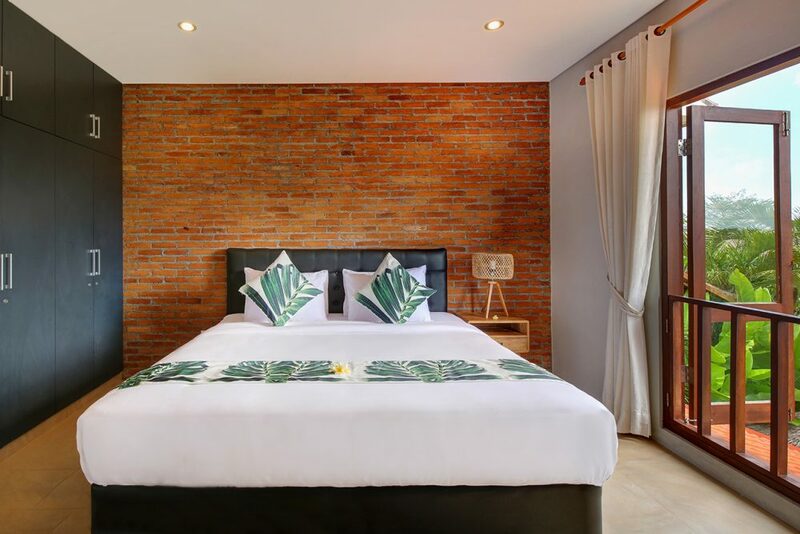 Further afield, around 30 minutes by car in the other direction is the trendy district of Seminyak which has a really cosmopolitan vibe and some fantastic fine dining options such as Metis, Sarong and Mama San. Day trips to Ubud white water rafting or temple spotting as well as trips to the beach at Nusa Dua or Uluwatu can also be facilitated from here. 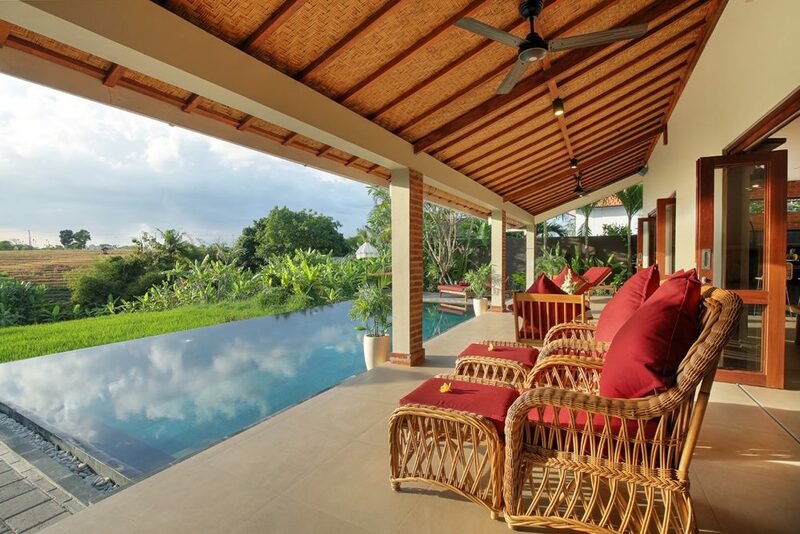 Our Villa Manager can assist in recommending transport for any adventures you want to set out on. 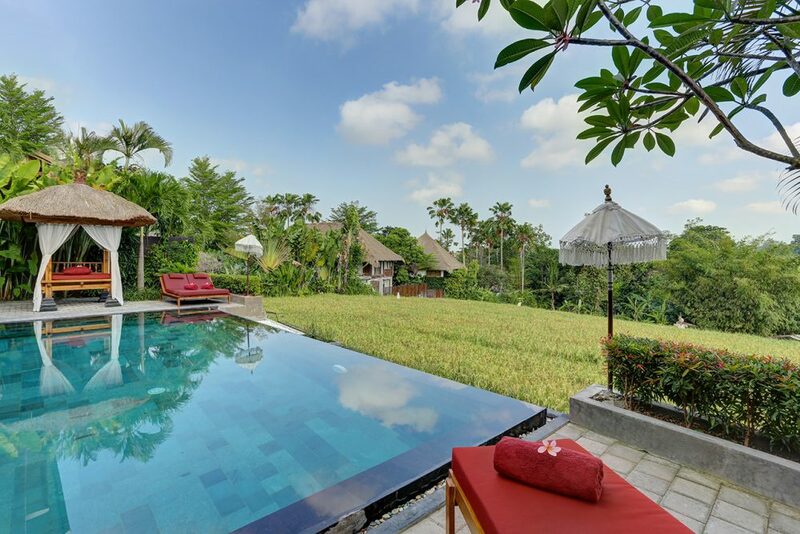 At the end of another fun-packed day, peaceful Villa Subak awaits your return.